Mapping globality has been an enduring project that has evolved and grown steadily over twenty years. However, in the last five years, it has sprouted digital wings, allowing the results now to be seen on spherical projection systems. 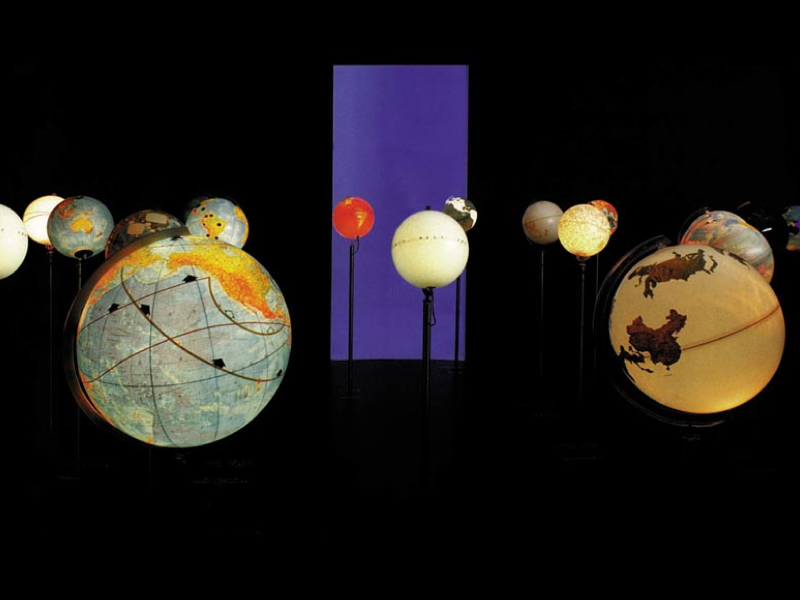 These more recent cinematographic (moving/dynamic) maps were made specifically for the largest high-resolution spherical movie screen on Earth: the Geo-Cosmos at the National Museum for Emerging Sciences and Innovation, Miraikan, in Tokyo. 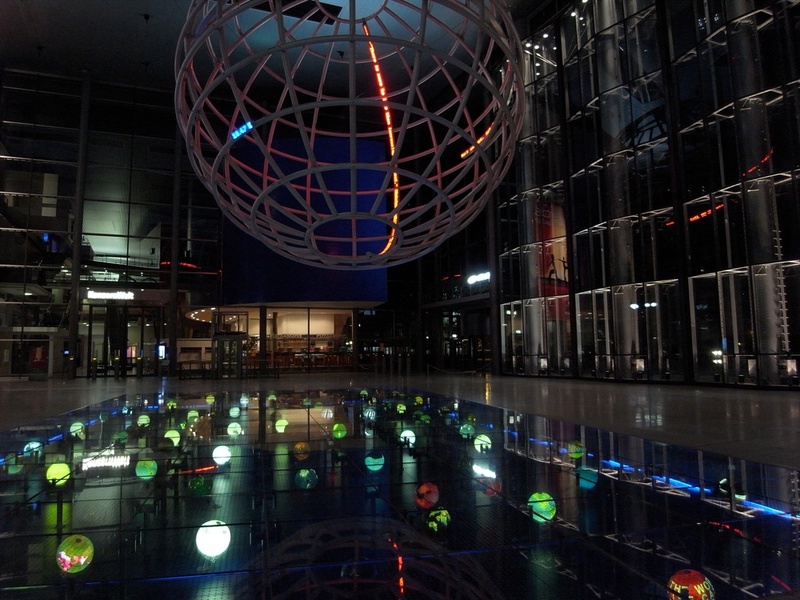 Miraikan, located in Tokyo, is Japan’s National Museum of Emerging Sciences and Innovation. 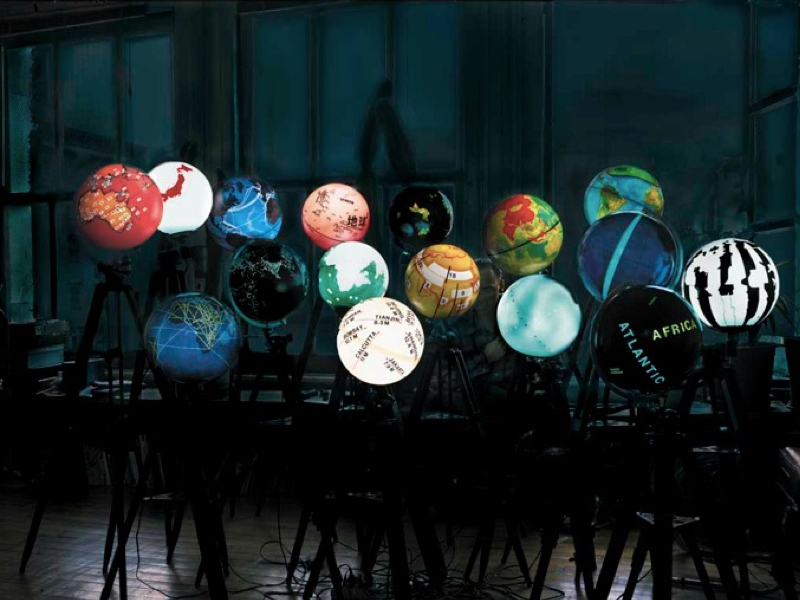 Its emblematic centerpiece is a high resolution globe display of majestic proportions, called Geo-Cosmos. This spherical screen is made from over 10,000 OLED elements, yielding an unprecedented 4K resolution - exceeding 10 million pixels. The screen measures 6 meter in diameter, the largest of its kind in the world. 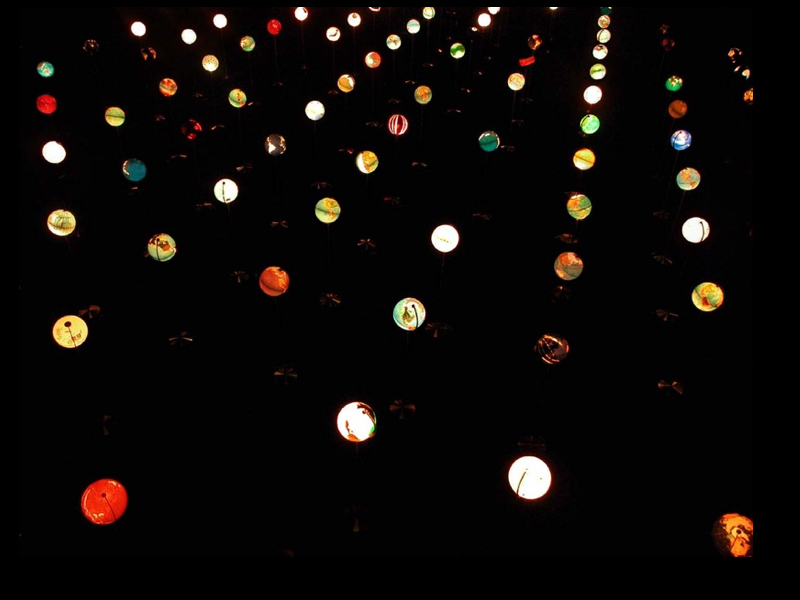 While this display lends itself to off-the-shelf data sets showing the geo-physical world, mapping the planetary condition is the quintessential challenge. Translating and animating the 500-year-old geo-political globe representation presents unexpected challenges, not excluding audio, the perceptual horizon of a 360° audience, and the computation and choreography of movements on a center-less sphere. 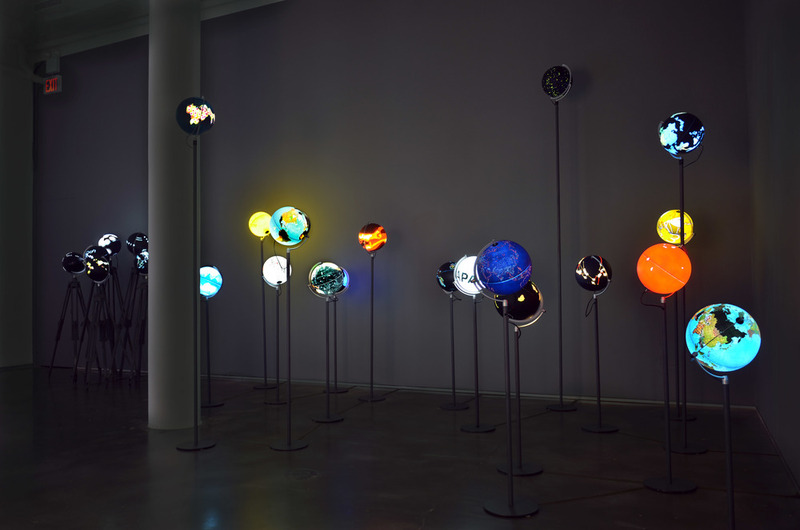 Ingo Gunther’s Worldprocessor project, being inspired by art, journalistic and scientific research was the ideal conceptual and content determined precedent for such an endeavor. He was commissioned in 2010 to produce a dynamic, narrative cinematographic iteration of Worldprocessor specifically for Geo-Cosmos. The result is a series of short super-high-resolution (4K) movies with narrative and auditive components for a 360° laterally and 90° vertically distributed audience. New narratives were introduced with temporary blurring, fades and audio lock-stepping of visual events. The globe format was subsequently updated as a medium and catalyst to conveys comprehensive data reality in the shape of intuitively accessible and comprehensive, memorable visuals. 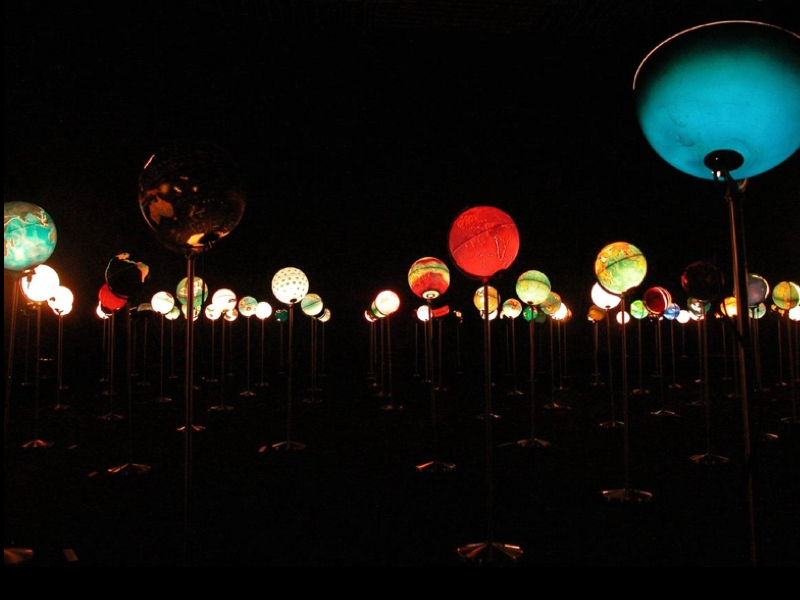 Since June 2011 Ingo Gunther’s Worldprocessor powered by Geo-Cosmos (WP [x] GC) segments are a permanent fixture at the museum and shown several times daily in compositions of different lengths. 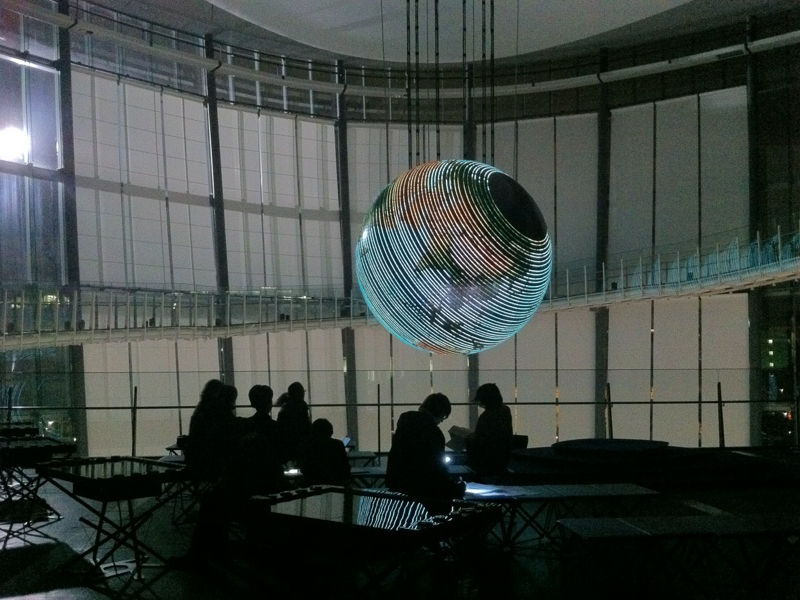 A derivative iteration in the form or a synchronized projection (Quadrilateral Planetarism, 12:10 min HD video) of the work has been generated in 2014. It premiered the same year in Berlin and is slated for future screenings and installations.